The first honours of the era of the great president Lucas Barlos. 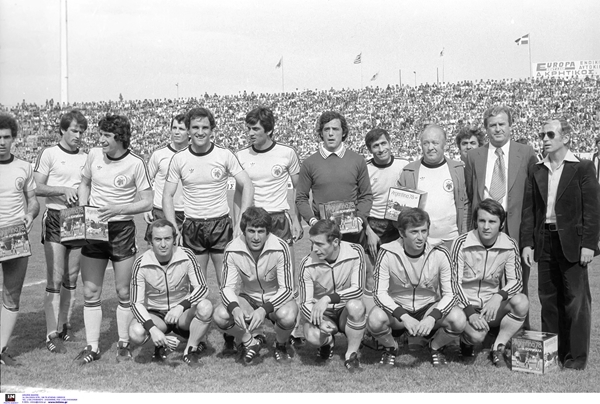 With Zlatko Cajkovski replacing (the creator of this team) František Fadrhonc, AEK was unbeaten (!) for 31 matches and easily won the league. Every position had first class players such as those who were already there (Papaioannou, Tassos, Ravousis, Nikolaou, Toskas, Stergioudas, Tsamis, Theodoridis) or those bought by Barlos (Ardizoglou, Mavros, Nikoloudis, Intzoglou, Christidis, Bajevic, Viera).